Cute Car Seat Strap Covers for your little one! 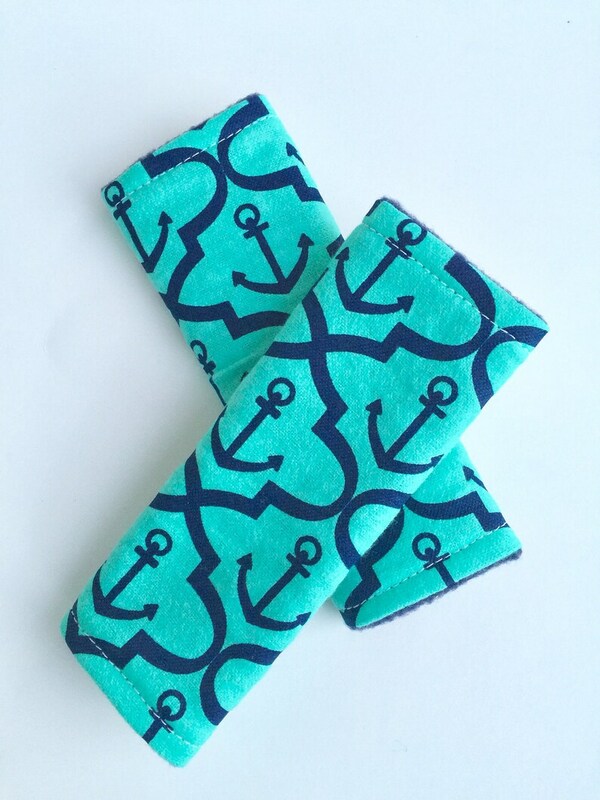 Paired with a matching Car Seat Arm Pad, these make great baby shower gifts. *** These straps fit securely around your car seat's straps and protect your baby's delicate skin while also adding some fun and color to your car seat or stroller! *** These straps can also be used as luggage tags to help you spot your suitcase easier while traveling. Very versatile! *** They will fit almost any car seat or stroller. They are about 5" tall. *** These straps are handmade and have a coordinating fabric on the back- THEY ARE REVERSIBLE! *** These strap covers are top-stitched all around for extra durability. *** Stock photo used- Yours is made especially for you so pattern placement may be slightly off.